Oh, yeah. 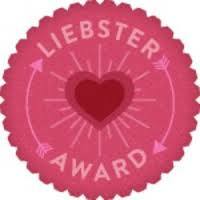 So whilst I was absent I was nominated for a Liebster Award by the lovely Melissa over at GlitterFists on the 26th of August, 2 days after my b'day (what a lovely belated pressie) ;). So thank you, Melissa! Now as far as I understand, the Liebster Award doesn't come from one specific place, there's no voting but it allows for both bloggers and non-bloggers to choose their own people to nominate. The only rules are that the nominees have to fewer than 200 followers to be chosen and each blogger chooses 11 others to nominate and answer 11 questions. They must also link back to the blogger who nominated them. As long as all this is done, the award is now theirs/ yours! 1. What, or who, got you into blogging? Was it a gradual process or did you just decide one day to start blogging? I'd been painting my nails and doing designs for about a year before I started blogging, I decided that once I'd finished my second year of university and started my summer break that I would start my own blog and stop spamming my friends on facebook with pictures of my nails if they didn't want to see them :). 2. How do you store your polish? Bins, drawers, boxes? I have three underbed storage boxes full. I really want to get a helmer! 3. What color of polish do you own most of? I don't think I have more of any one colour, I love bright colours and well colours in general. I will say that I have less purple polishes than any other colour though, since I seem to have some kind of weird aversion to the colour. 4. Have you ever thought of making your own polish brand? 5. If you work, what do you do for your job? Do you enjoy it? If no, what would you like to do? If you're a student, what are you going to school for? I'm currently a student, studying Education Studies and Psychology. I will be starting my third and final year in about a month and I cannot freaking wait till next summer when I've finished! I actually hate my course. I wish I'd done English or Maths :(. 6. Do you have any pets? If so, what kinds and what are their names? Yep, I have an 18 year tuxedo kitty called Sylvester, a 12 year old yellow and green budgie called Sweetie and a nearly 8 year old staffordshire bull terrier called India (Indy). 7. What is your favorite TV show? What about movie? Aaaargh, I can't choose one favourite TV show, I'm an addict. I love Castle, Grey's Anatomy, Rookie Blue, Suits, and more. My favourite movie right now is Stick It, so funny! 8. What is your favorite thing about blogging? Least favorite? I blog to share what I love with others and to share swatches of polishes with others so that it helps them to see what polishes are out there and what they're like. 9. If you could collaborate with any brand, indie or mainstream, who would it be? Toughie, but Barry M started off my nail polish passion and take over my collection so I'd have to say them or Dollish Polish (who started off my indie polish addiction). Oooo another toughie, I'd say chocolate bars but vanilla ice cream. 11. Do you watch any YouTube Nail Gurus? If you do, who are they? Cute Polish helped me with my designs at the beginning of my addiction last year. Yaaaay! Happy belated birthday! =D Do yo plan on shipping international for your polish line? I'd definitely love to try it! And I so wish we had BarryM here, some of their colors look so lovely. Hiya thanks for the nomination! Took me a while to write the post and tell everyone but I got there :p Here it is if you want to see!